On the basis of archival sources and the recollections of the employees of the Ukrainian Physical-Technical Institute, Laboratory No. 1, and Kharkiv Physical-Technical Institute, some episodes from the history of the National Science Center “Kharkov Institute of Physics and Technology” are described. Scientific and Managerial Activity of Academician A.F. Ioffe. Collection of documents (Nauka, 1980) (in Russian). Recollections of A.F. Ioffe (Nauka, 1972) (in Russian) (in Russian). I.V. Obreimov. History of natural-science thought within half a century. Visn. Akad. Nauk Ukr. RSR No. 10, 10 (1971) (in Ukrainian). V.P. Bykov. In search of scientific truths and talents. To the centenary of the I.V. Obreimov birthday. Vestn. Ross. Akad. Nauk 64, 236 (1994) (in Russian). Academician of the AS of the UkrSSR Kirill Dmitrievich Sinelnikov. To the centenary of his birthay. Recollections by his family and colleagues (NSC KIPT, 2001) (in Russian). A.Ya. Usikov, Moments of Life (Mystestvo, 1990) (in Russian). A.I. Leipunsky. Selected Works. Memoirs (Naukova Dumka, 1990) (in Russian). V.F. Weisskopf. Physics in the Twentieth Century: Selected Essays (MIT Press, 1974). L.V. Shubnikov. Selected Works. Memoirs (Naukova Dumka, 1990) (in Russian). Atomic Project of the USSR. Documents and materials. Vol. 2. Atomic bomb. 1945–1954. Edited by L. Ryabev (Sarov, 2000) (in Russian), Book 2. Yu. Ranyuk. The Laboratory No. 1. 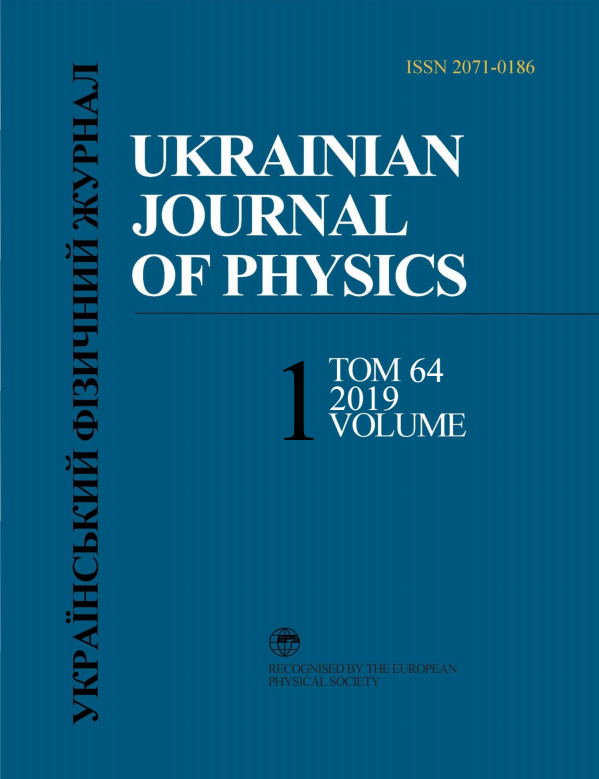 Nuclear Physics in Ukraine (Akta, 2006) (in Ukrainian). B.G. Lazarev. Life in Science. Selected Works and Memoirs (NSC KIPT, 2004) (in Russian). Corresponding Member of the NAS of Ukraine Nikolai Fedorovich Shul’ga. To the 60th anniversary of his birthday. Edited by S.V. Peletminskii (Kvant, 2007) (in Russian).